AirPura Air Purifiers is a distinctive line of AirPura portable and AirPura whole house (central) air purifiers featuring the AirPura large HEPA and Carbon filters, the AirPura version of advanced air purification technologies and the AirPura high quality air purifier components. AirPura There are 27 products. AirPura R600 air purifier features the AirPura R600 HEPA and Carbon filters along with AirPura powerful motor/fan to guarantee effective All Purpose air purification in large areas up to 2000 sq. ft.
AirPura H600 Allergy and Asthma Relief Air Purifier employs the AirPura H600 True HEPA filter and a powerful AirPura fan to trap all allergens and dust and bring relief to Allergy and Asthma sufferers. AirPura C600 air purifier showcases the AirPura C600 oversize canister filled with AirPura massive amount of adsorbent allowing the AirPura C600 to achieve a Superior rate of Heavy chemicals removal. AirPura C600DLX is the AirPura C600 air purifier enhanced with AirPura C600DLX specialty adsorbent in AirPura oversize canister for Extreme VOCs and Specific Chemical Removal. AirPura F600 air purifier employs the AirPura F600 specialty adsorbent which enables the AirPura F600 for enhanced removal of Formaldehyde and specific chemicals in large areas up to 2000 sq. ft.
AirPura F600DLX (F600-DLX) Heavy Formaldehyde Air Purifier employs massive amount of AirPura F600DLX Industrial Strength adsorbent in ArPura oversize canister to achieve a superior rate of Heavy Formaldehyde removal. 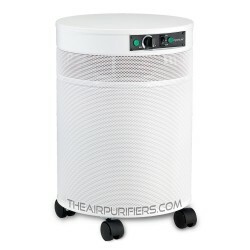 AirPura G600 with AirPura Organic Cotton Pre-filter and AirPura G600 Odorless German Carbon is the most Chemically Inert AirPura Air Purifier and is a perfect AirPura solution for Multiple Chemical Sensitivity issues. 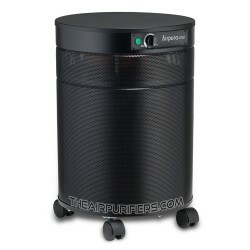 AirPura G600DLX combines massive amount of AirPura G600DLX Odorless German Carbon with AirPura Organic Cotton Pre-filter making the AirPura G600DLX a top choice AirPura air purifier for Severe Multiple Chemical Sensitivity. AirPura I600 Healthcare air purifier employs the AirPura I600 oversize HEPA filter and focuses on large scale air filtration for various Healthcare applications. AirPura T600 Tobacco smoke air purifier features the AirPura T600 oversize carbon canister and the AirPura Tar-barrier pre-filter for a Superior rate of Tobacco / Cigarette smoke removal and enhanced protection from primary and secondhand smoke. AirPura T600DLX (T600-DLX) air purifier uses the AirPura T600DLX massive amount of specialty adsorbent and the AirPura T600DLX Tar-Barrier pre-filter to achieve the maximum efficiency in removal of Heavy Tobacco Smoke. AirPura P600 Air Purifier incorporates the AirPura P600 advanced Photocatalytic Oxidation technology along with AirPura P600 HEPA and carbon filters to deliver the most comprehensive air purification available today.